IP cameras undoubtedly represent a huge leap over the analog security camera setups of yesteryear: newer cameras bring significant ongoing cost savings and simpler operation to the table. But one area where traditional IP cameras don’t improve on their analog predecessors is in the way they store camera footage. Where analog cameras transfer footage to VCR-based solutions, traditional IP cameras usually store footage on NVRs (network video recorders). The need for an NVR in typical IP camera setups presents some critical downsides in terms of costs, reliability, and complexity. The more components in a system, the more expensive that system is to maintain and update over time. As organizations deploy additional cameras, more video footage is captured, necessitating greater amounts of space to store that footage. Though NVRs may not introduce too many costs for smaller deployments, the one-NVR-per-location model quickly breaks down when organizations have to deploy cameras across many different sites — a common scenario for customers in verticals like retail and hospitality. Storage requirements can also balloon with IP camera systems that don’t automatically delete footage that isn’t useful, like video in which there is no motion. The need to augment cameras with NVRs doesn’t just add another line item to the BOM; it also makes it more difficult to scale because organizations need to determine in advance how much storage they’ll need per location. The result is often inadequate storage, a less cost-effective deployment, or both. Organizations with old-school CCTV setups typically don’t think twice about remotely viewing video footage; they’re all too used to the idea of someone having to be physically present in a control room on-site to watch video (after all, the first two letters in “CCTV” stand for “closed-circuit”). But one of the promises of Internet-connected cameras was that video footage would be easier to access from anywhere. Alas, the requirement for video to be transmitted to and stored on an NVR in typical IP camera deployments limits the possibilities for remote viewing. That’s because accessing videos stored on an NVR from outside the network requires cumbersome and complex VPN configuration. Plus, all computers will need to download a separate, often unintuitive VMS (video management service) — yet another thing to install, configure, and learn how to use. It’s no wonder that most organizations using typical IP camera systems have adjusted their interaction style such that they are only using cameras locally. Unfortunately, this means there’s often a frustratingly long gap between when video is captured and when it’s been retrieved, converted, and ready to view — not an ideal scenario. A chain is only as strong as its weakest link, and the same holds true for security camera deployments: if one piece of the system fails, the entire system is at risk. If for some reason camera footage can’t be sent to the NVR from the cameras (due to a network outage, for instance), footage is lost forever. Even worse, network administrators frequently don’t realize that part of the system has failed until they try to watch footage that was never properly transmitted to the NVR. The risk of losing critical footage due to a network issue is a basic failure of NVR-reliant camera systems. Since NVRs are often nothing more than old computers running outdated software and collecting dust in the back of a closet, keeping them up-to-date with the latest security updates is a difficult and oft-forgotten task. This means NVRs can serve as an entry point for cyber threats looking to find their way into a network. Once they’ve infiltrated the network, cybercriminals can do anything from stealing corporate data and holding a business hostage to compromising sensitive financial information. 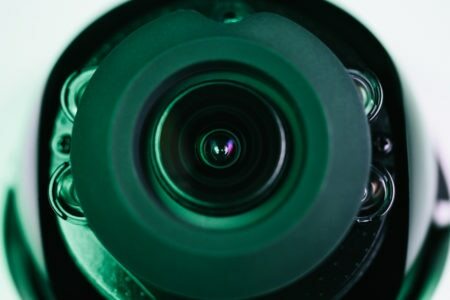 These aren’t just theoretical threats: in October 2016, thousands of cameras and video recorders were infected by malware and initiated a DDoS (Distributed Denial-of-Service) attack against services like Amazon, Spotify, and Reddit. Unfortunately, even a single weak point in the network could open a company up to significant security issues. By removing the NVR from the equation, organizations stand to gain a more efficient, reliable, and secure camera system. That’s only possible with a ground-up reinvention of the traditional IP camera architecture. Cisco Meraki MV eliminates the NVR by introducing a unique cloud management model. With MV, there’s no single point of failure; footage is stored and encrypted on the cameras themselves, creating a distributed system (and consequently distributing the risk). Video is streamed securely to the Meraki dashboard for monitoring, where the cameras can also be configured and managed. And all system components stay protected from security vulnerabilities, thanks to standard end-to-end encryption and regular, automatic firmware updates. The result: a streamlined, simplified security camera solution. Learn more about Meraki MV by signing up for a webinar. What makes MV so smart?